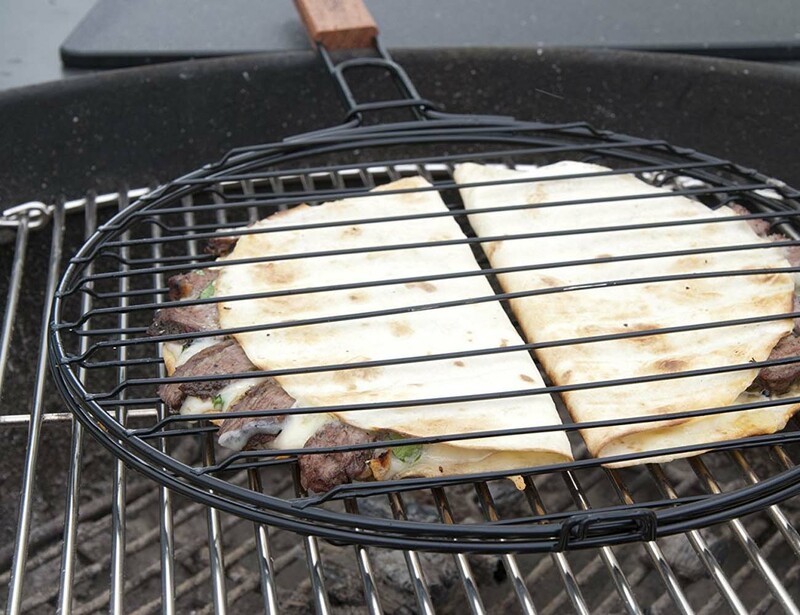 With a stylish design and a sturdy rosewood handle, the Quesadilla Grilling Basket is perfect for any BBQ party you organize. 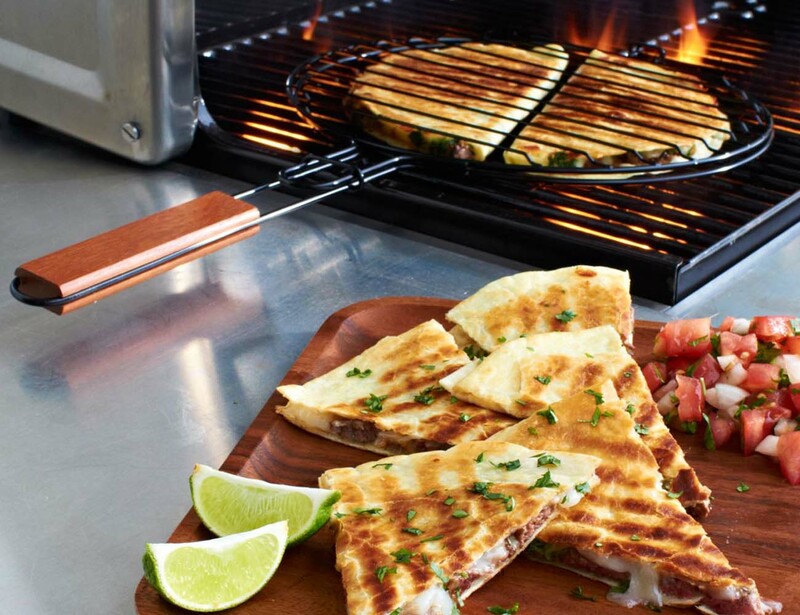 The basket features a non-stick coating due to which you’ll get to taste crisp, evenly grilled quesadillas from them. Even cleaning it is super easy. 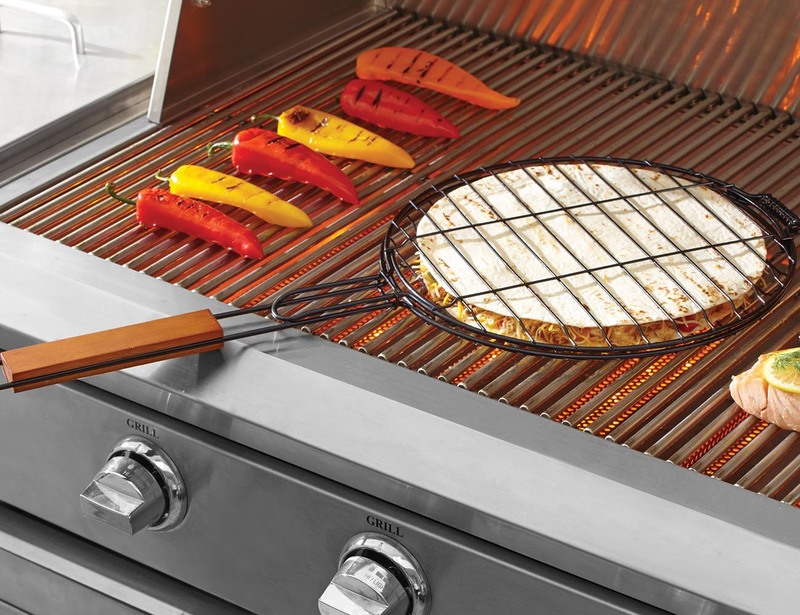 The body is made of steel with the rosewood handle keeping your hands safe during grilling. 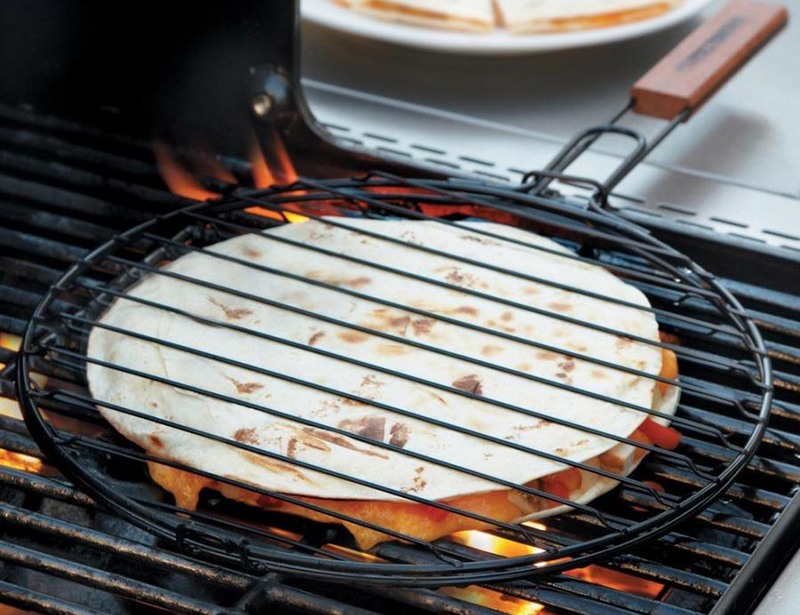 So next time you have a quesadilla menu at a BBQ, don’t forget to have one of these which will only make the process of grilling quesadillas super easy and that too, without compromising on the taste.